Very pretty. The message telling me that quake data was required should be more specific than 'please put data in appdata/darkplaces' - id1 subfolder folder needed - it appears to use the non-pak version (don't know if paks are supported) - filenames may or may not need to be in lowercase. 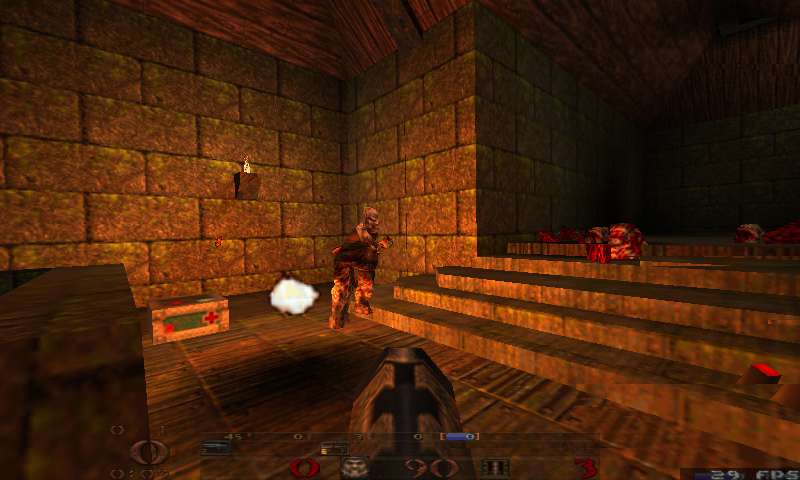 This is one of the best quake engines. It offers many advantages over glquake, and is generally better for mods (it supports a wide variety of models and maps). However, aiming with the nubs feels much better in glquake than on this engine for some reason. Very good q1 engine. However, it would be nice if there was a way to adjust horizontal and vertical sensitivities for the nubs and change the nubs rate of acceleration. It's not spanwing any appdata folder for me just like Open Quartz.